A version of this article appeared in LattéLife magazine last year. I’m reprinting it here as I think this general overview is worth repeating. If you’re already across the grower Champagne topic then skip ahead. When we’re talking about the wines of Champagne, what we’re really talking about is Champagne brands. Famous brands like Moet, Veuve Clicquot, Louis Roederer and Bollinger, all household names(to various extents) and all propelled along by unrivalled marketing, packaging and brand placement. But there is much more to Champagne than just big names and big producers, a fact best explained by delving into the Champagne production process itself. We can start by looking in the vineyard, where it might surprise to know that many of the famous Champagne ‘houses’ don’t own their own vineyards. Instead, a vast network of independent growers – numbering more than 15,000 – grow the grapes whilst the Champagne ‘houses’ make the actual wines. In this fashion, the most famous Champagne houses will utilise growers all over the region, taking parcels of grapes from a range of varieties and sites, blending artfully to create the most consistent, high quality ‘house style’ wines and effectively promoting a system that separates winemaker from grapegrower. A two tiered production system if you will, which is unlike most other traditional notions of wine production. The challenge with this sort of winemaking ethos is the loss of ‘a sense of place’, with wines that can arguably lack ‘terroir’ and character, a product more of winemaking rather than grape character. Enter then the modern counter for this homogeneity: The grower Champagne. 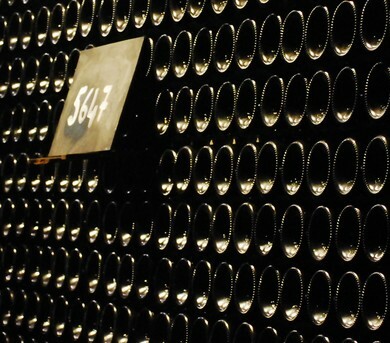 In essence a grower Champagne is simply one produced by the same estate that grows the grapes. Vineyard and winery, reconnected once again, identified by the letters ‘RM’ on the label, which stand for ‘Recoltant-Manipulant’ – effectively grower and winemaker – as opposed to ‘NM’ (negociant and winemaker) for the Champagne houses. Given that approximately one in four Champagne growers do make their own wine, it’s actually quite a surprise that up until recently these little known bubblies would never have made it past the growers dinner table (with many of these grower bubblies known as simple, variable ‘farmers wines’ as a result). In the last decade however several of the most progressive growers – many of whom practise organic and biodynamic viticulture – have realised that there is a demand for Champagne that proudly proclaims exactly where it was grown and produced. Champagne that speaks of grapes and winemaker, not just house style. The good news is that several of these grower Champagnes can be found in good Australian bottle shops, from producers such as Larmandier-Bernier, René Geoffroy, Egly-Ouriet and Agrapart (to name just a few). What’s more, these sparkling wines can often be cheaper than the big name Champagne’s, or at least offer more interesting offerings for comparable prices.